Lyon & Turnbull’s inaugural Asian Art sale in London includes a rare collection of dinner china from the Earl of Stirling. The service was commissioned around 1770 and the set up for auction is the largest collection the market has seen. The top lot of the auction is a set of china commissioned by William Alexander, Earl of Stirling sometime around 1770. The set bears the Stirling coat-of-arms and the motto "Per Mare Per Terras", and is the largest collection from this rare service. ArtDaily reports that the Earl of Stirling, born in 1726 in New York, was a Major General who is said to have been praised by George Washington and been dubbed "the bravest man in America" by a newspaper. He claimed the Earl of Sterling title himself after the American Revolutionary War. He travelled to England in 1757 to claim the title from the House of Lords, who contested it, but Alexander used it for the rest of his life anyway. 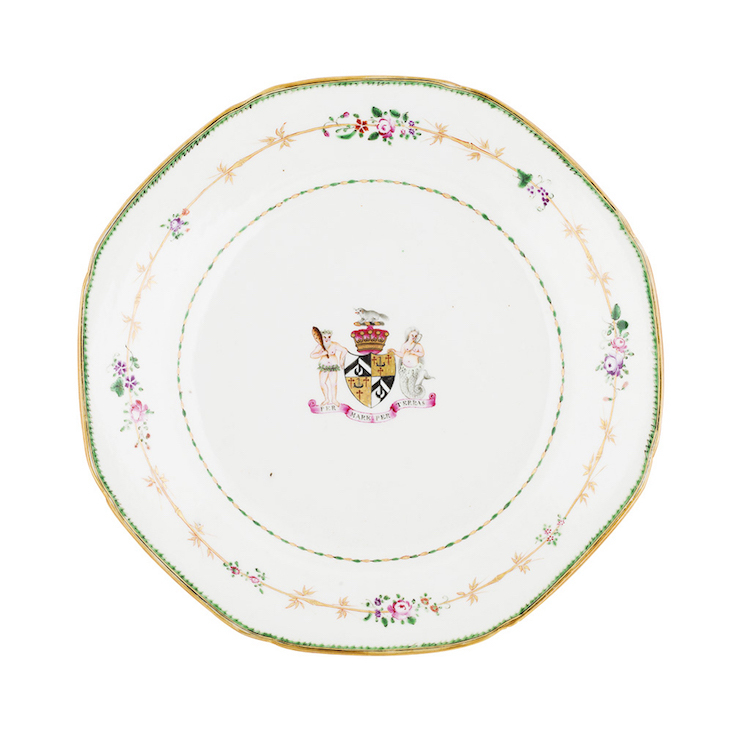 In or around 1770, Alexander ordered the china service with the family coat-of-arms, but would never receive it due to the trade embargo during the War of Independence. It is believed that the service remained in London where it was later sold. 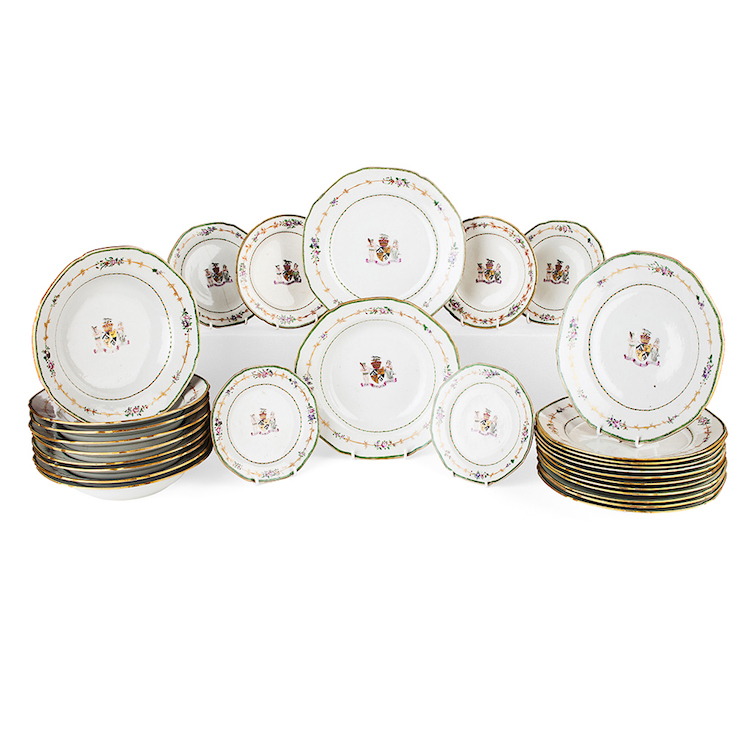 The set comprises 29 pieces; 6 side plates, 10 soup plates and 13 dinner plates, and is the largest collection from this service. Single plates have previously fetched thousands of dollars at auction, which makes this sale of a large set even more exciting. The set comes directly from Alexander's descendants near Stirling, Scotland and has en estimate of $7,800 - $12,500. Find all porcelain currently up for auction here!